Are you hoping to get away from it all on your next vacation? Booking a stay in private cabin rentals in GA is a great way to get away from the hustle and bustle of the city and back to the basics of nature. Here's a look at seven nature-friendly activities that you'll want to include on your trip itinerary. 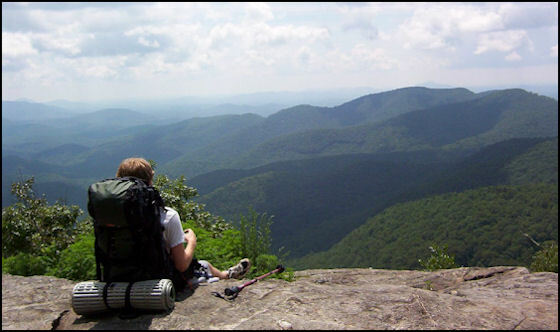 When staying at cabin rentals in GA, you'll quickly notice that there is no shortage of hiking trails in nearby areas. For starters, your cabin is just a hop, skip, and a jump away from Unicoi State Park. The park boasts six hiking trails, but nature lovers may want to begin by checking out Frog Pond Trail. This easy, 1/3 mile loop features numerous educational placards on designated trees around the path. The placards will teach you about the animal and plant life that call Unicoi home, so that you can seek them out as you explore the remainder of the park. Be sure to check out Anna Ruby Falls Trail which will lead you to a spectacular double cascade. When you're done hiking, you may even consider taking a swim along Unicoi Lake's beach. The area near your cabin rentals in GA are home to numerous varieties of bird, making it a very popular spot for bird watching enthusiasts. It's easy to bring a field guide and a pair of binoculars to your cabin where you can watch for feathered friends from your perch on your cabin's wrap-around porch. You may also opt to check out the Georgia state park's schedule in order to join in on a ranger-led birding class. But don't stop looking up just because the sun went down. Out here in the northern Georgia mountains, you can see the stars above for miles. There's no better time to watch for falling stars or to look out for your favorite constellations. Are you hoping to spot a fox, a deer, a duck, or other northern Georgia critters? Many of these animals live in the area surrounding your cabin rental. Although you may be lucky enough to catch a glimpse from your cabin window or porch, you may want to pick up a guide on animal tracks and see if you can do a little detective work. Whenever you spy tracks near your cabin or on hiking trails, you can consult your guide and see if you can find a good match. Whether you just want to learn about animal tracks, or are hoping to follow a rabbit back to its home, you're sure to enjoy your experience in nature. Would you like to relax while getting up close and personal with nature? Be sure to visit Cool Rivers Tubing Company in downtown Helen. As you and your group lazily float down the cool waters of the Chattahoochee River ("the 'Hooch"), you'll be able to keep your eyes pealed for water-loving critters like ducks, geese, and toads while also enjoying the gorgeous plant life in the forested areas surrounding the river's path. If plant life is your fancy, you'll never run out of things to spark your interest while visiting a cabin rental in GA. Collecting leaves and comparing them to a guide is a fun way to learn about which trees, ferns, and other flora are surrounding your vacation rental. You can even use your cabin's high-speed internet connection to access an online leaf guide. And if you're looking for free souvenirs of your trip, you can make leaf rubbings to take back home. Back at home in the city, you may be used to the sounds of traffic. Here in Helen, though, your ears will pick up the sounds of birds, and other animals as they call to one another. By talking to the friendly and well-informed rangers at the State Parks surrounding your cabin rental in GA or by consulting an animal call guide of your own, you can train your ears to recognize the sounds that you hear during your trip. By understanding which birds and other animals are near your cabin, you can enjoy more success in spotting them and possibly capturing a picture for a keepsake. 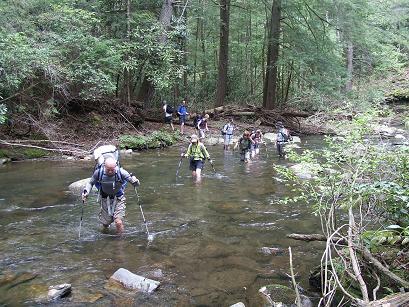 If you pick a cabin rental in GA that has it's own private creek, you will have plenty to explore. You may spot deer lapping water right outside of your cabin's back door! Take the kids out for a day of searching for frogs, lizards, or simply enjoy the peaceful babbling of the creek from your cabin's porch. 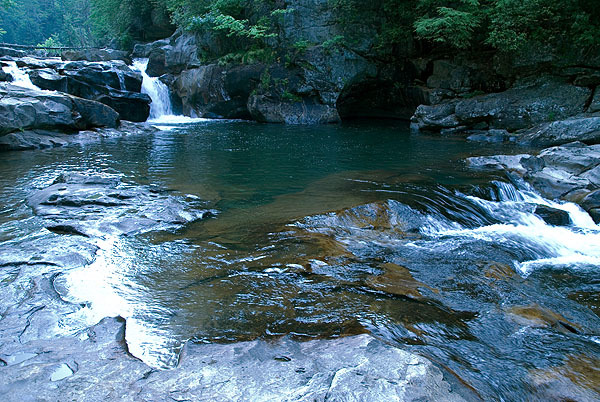 How will you dive into nature while staying in a cabin rental in GA?